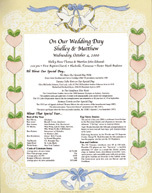 Loving Memory Prints about your special day! 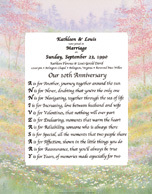 Give the gift of memories about your special day - perfect for spouses, and wedding or anniversary gifts. 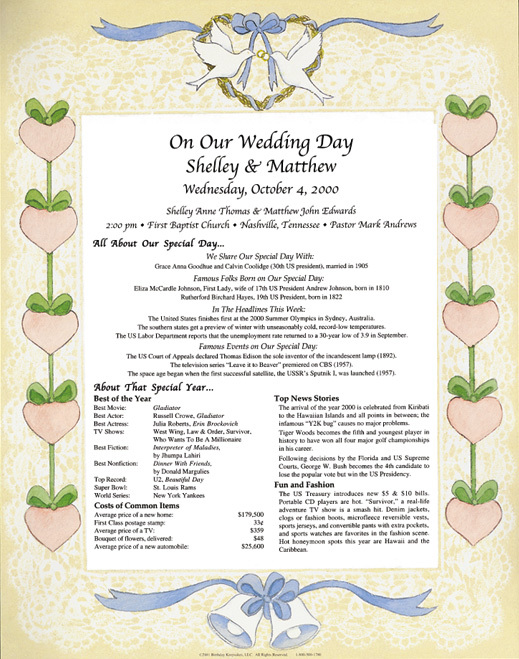 Full of delightful details about your ceremony and events from that day and year. 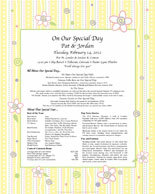 Order it framed or laminated to last a lifetime! Shop with confidence with our 60-day money-back guarantee! 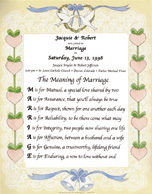 The following border designs are available for any Wedding, Anniversary or Special Occasion Keepsake. 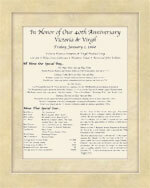 Poems are available in 8x10 only.